and tips to become successful! 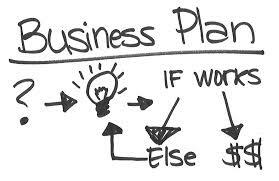 Whether you are composing a massage therapy business plan for school or to open your own practice, a detailed plan of action is a must. You may think this is a waste of time, but studies show that developing a strong business plan can lead to a more successful business. Taking just a few hours to plan out what you will do and when, can make all the difference in your business' success. 1) Write a detailed business description, including the techniques of massage you will be offering and the plans for additional services (maybe a massage therapy career "niche"you want to specialize in) that will be added in the future. Include dates to serve as goals for when the new services will start. 2) Address if you will be a sole proprietor, own with a partner and if you will hire other therapists to work for you. Include the dates of when this will happen to serve as goals. 3) Remember to make a list within the plan of all your skills, massage certification (s), licenses, and experiences that qualify you to own your own business. This will serve as a reminder for you that you really are equipped to start this process. It is also great to have a list that you can easily access in case you are ever interviewed about your business by a newspaper or television reporter. 4) Discuss the advantages of using your massage practice over others in the area. What techniques of massage do you offer that they don't? What does your location offer? Easy access? Great parking? No steps? On a main highway? List all the positives. This is also a great list to pull out if you are ever interviewed. 5) Discuss how you will pay for supplies to start your business. Will you save for a certain period of time? How much will you save per month? Will you get a loan from a bank? How much will the payments be? Create a detailed financial plan that lists how you will spend every dollar of start-up capital. 6) To make yourself unique, discuss how you plan to provide specialty services (like facial massage) that no one else in your area offers. People who are seeking a therapist will often try several massage therapy practices to find the one they like the most. Discuss that you will go and have a massage at your competitor's office, see what they offer, and incorporate the positive aspects of their business. 7) List your vision statement, mission, goals and objectives in your massage therapy business plan. This part will detail what, why, and when you will achieve your goals. 8) Include a market analysis of competition, types of massage therapy that people seek in your area, and number of massages (on average) given in your area per week. You can find this information by contacting other therapists in your area. This is a great way to introduce yourself and develop some connections also. 9) List start-up costs, assets, liabilities, and office layout within your plan. 10) Discuss how you will incorporate massage marketing strategies into your everyday life. Include car magnets, designs of your massage business cards, brochures and gift certificates. Make sure that they all match in design and color. Discuss if you will have a website and market your massage therapy services online and/or provide a way for clients to schedule online, buy gift certificates online, or contact you via the website. Business Mastery: A Guide for Creating a Fulfilling, Thriving Business and Keeping it Successful teaches great tips and techniques for building a successful practice including marketing you niche skills, attracting long-term clients and how to network with people that can help you grow your business. This is a good book to have when trying to write a massage therapy business plan. Building your own website is essential in massage marketing, and easier than you think. You can do it!